Bill Press is host of The Bill Press Show, a nationally-syndicated radio show airing weekdays on local stations across the country, simulcast on Free Speech TV, and live-streamed on Youtube.com. He attends the daily White House briefings as part of the White House Press Corps, writes a weekly column for The Hill newspaper, and a nationally-syndicated column distributed weekly by Tribune Media Services. Press brings to talk radio a wealth of experience in politics and the media. For 25 years, he has been a major player in state and national politics, in addition to hosting top-rated radio and TV shows in California and on national cable networks. In both capacities, he is on top of the important, critical issues of the day. Press is the former co-host of MSNBC’s Buchanan and Press, a fiery debate program illuminating the most complex of contemporary issues along with Pat Buchanan. Prior to his role at MSNBC, he was co-host of Crossfire, CNN’s dynamic political debate program, for six years and co-host, with Tucker Carlson, of CNN’s Spin Room. Press is a best-selling author and his books include: Spin This! (2001) which explores the culture of spin—what spin is, who does it and why; Bush Must Go: The Top Ten Reasons Why George Bush Doesn’t Deserve A Second Term (2004); How The Republicans Stole Religion (2005) which is an examination of the role religion plays, and should play, in American politics, and the impact it has on American society; Trainwreck: The End of the Conservative Movement (And Not A Moment Too Soon) (2008); Toxic Talk (2010) which is a blistering look at right-wing talk radio, a book that Rush Limbaugh hates, The Obama Hate Machine: The Lies, Distortions and Personal Attacks on the President – And Who Is Behind Them! (2012), and Buyer’s Remorse (2016), in which he explores the Obama Administration and what has been a disappointing presidency for many progressives. Press has enjoyed a high-profile career in government, politics and broadcasting. He was chairman of the California Democratic Party from 1993 to 1996. He served as chief of staff to California State Senator Peter Behr and as director of the California Office of Planning and Research under Governor Jerry Brown. He managed several local and statewide political campaigns, and in June 1990, Press was a candidate in the Democratic primary for California State Insurance Commissioner. In addition, Press is an award-winning radio talk show host and television commentator. He began his career as a political commentator on KABC-TV in 1980 to 1989, and later on KCOP-TV, both in Los Angeles. He hosted Bill Press: True American on KFI-AM, Southern California’s number one AM radio station and was a regular weekend talk show host on KFI-AM from 1991 to 1996. 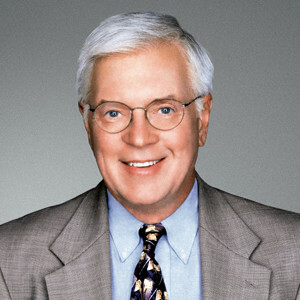 Press has received numerous awards for his work, including four Emmys and a Golden Mike Award. He was named Best Commentator of the Year by the Associated Press in 1992. Press is a native of Delaware, still owns a home in California and now lives in Washington, D.C. He received a bachelor of arts in philosophy from Niagara University and S.T.B. in theology from the University of Fribourg, Switzerland. Bill and his wife Carol have two sons, Mark and David, and five grandchildren.